Pride is the big kahuna of the seven deadly sins. It is said to be the root of all the others. Although pride is sometimes characterized as self-love taken to excess, it is often actually a deficit of self-love or self-esteem that underlies prideful actions. We compensate for inner feelings of inadequacy with outward expressions of bravado. In either case, the greatest of all sins, pride, is a distortion of the greatest of all spiritual gifts: self-love. Christians look to the Holy Trinity of God the Father, Son and Holy Spirit as the model of self-reciprocating love that permeates creation. If the religious language of the Trinity doesn’t speak to you, try getting in touch with the love percolating throughout the universe—the love of life that keeps us going and creating. The spiritual disciplines of engagement and abstinence that bring the spiritual gift of self-love into balance are submission and secrecy. Ooooohhhhh, how I dislike the idea of submission. It’s clear why submission is the least appealing of all the disciplines to the pride. I’m not the submissive type, I guess. I did, however, experiment with this discipline, and to my own great astonishment, I think it brought me greater joy than any other spiritual discipline I have practiced. Truly. Submission is serving by example or submitting humbly to the oversight of others, and it is the highest form of fellowship. It elevates others and in so doing glorifies God. When I undertook this discipline, I couldn’t see my way clear to submit humbly to oversight from another. I just didn’t seem to have that kind of relationship with anyone, so I went the serve by example route. My daughter Grace was 4 years old, and who wouldn’t enjoy fellowship with a little Grace? It seemed like a low risk approach. I made it my aim to serve her by example in a few small things. It required only a little extra self-awareness and intentional effort on my part, and her response was so innocently magnificent, it was a sheer delight. Now, you might say I did not aim very high (or low, as the case may be) with the submission thing, and I would not argue that point with you one bit. I would argue, however, that it illustrates the principle that any of the spiritual disciplines can be practiced in a manner accessible to a beginner. I may be a submission neophyte, but I tried it and I learned something and I was changed for the better. Whereas submission is a discipline of engagement, secrecy involves abstinence, and it is as subversive as it sounds. Avoiding recognition for a good deed puts our PR department in God’s hands. We learn to enjoy being unknown and even to accept being misunderstood in peace. Misunderstandings become our cosa nostra with God, our little inside scoop. Above all, secrecy teaches us to serve for love alone. Join the conversation. How can you participate more fully in the self-reciprocating love being offered to you? Good things are happening in the Resolana unit at the Dallas county jail. The life skills class continues exploring self-esteem, and last week the discussion centered on making life change actually happen. 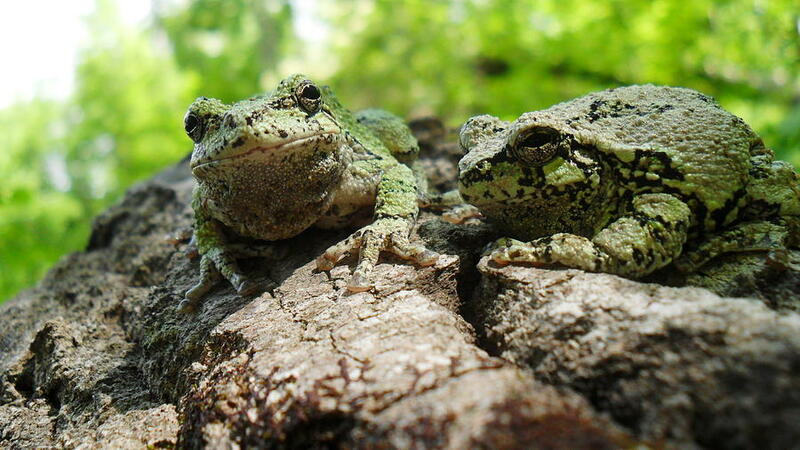 Have you heard the joke about the three frogs on a log? If one decides to jump off, how many frogs are left on the log? Anybody who has been around Twelve Step programs knows the correct answer is three. Deciding to make a life change doesn’t necessarily mean one follows through and does it. How does one actually follow through and make a meaningful life change? The women learned three steps for doing it: becoming aware, making a choice and making a plan. There were some heart-felt moments and also some laughs as the women described becoming aware of things they want to change. One woman realized something needed to change in her relationship with a sibling. She had always thought their relationship was great, but within the past week she recognized how her sibling’s addiction reinforced her own addictive behavior patterns, and she acknowledged something needed to change to protect herself from relapse. Her mother had long cautioned her about that relationship, but she hadn’t understood her mother’s concern. Another woman seemed almost unsure of herself as she revealed awareness she has an anger problem, whereupon there were stifled chuckles among others aware of that already. That led to a humorous recognition that when we come into awareness of something we need to change, the people around us may be well acquainted with that need and, furthermore, be willing to offer us support in making those changes. The women tended to gloss over the second step—identifying the choices we have once we become aware—but they also came to see its power. Status quo is an option. Changing is an option. It is important to embrace the full spectrum of choices available. If we give short shrift or write off options, we are in danger of making a premature (i.e. not fully considered) decision. Giving all our options their full due, no matter how unappealing or unattainable they may seem, makes our choices conscious choices. The last step is where the webbed toes meet the bark. It’s the action plan delineating what we will do that is different than what we did before. The more detailed it is, the better prepared we will be to exhibit different behavior in the heat of a stressful moment. The women’s comments on this step revealed the true depth of their commitment to changing their lives. Perhaps most touching of all was the awareness breakthrough for some inmates. Followers familiar with my book manuscript about the healing power of confession know how passionate I am about the hard work of honest introspection. Some of us have been around the block. We know our material cold. The truth, though, is that this posture is a defensive mechanism, something that protects us from discovering something true about our vulnerable selves. No matter how happy or content we feel in our present circumstances, honest introspection and greater self-awareness have the potential to bring us greater peace. Join the conversation. What is your secret for converting decisions into action? The county jail program I write about from time to time is operated by a nonprofit organization named Resolana. Resolana helps incarcerated women make life changes to reap their true potential, which includes staying out of jail. The program has a life skills class, and last week we started a unit on self-esteem. As always, the women exhibited admirable candor and had profound insights. It’s fitting to share some of those insights here, as they illustrate the lies we believe about ourselves described the last post about shame. The self-esteem unit starts with a rather sad description of how captive baby elephants are trained not to roam. 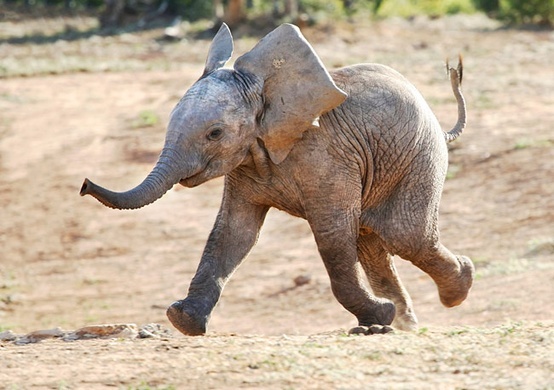 By tying the baby elephant to a stake it isn’t strong enough to break, the animal is trained to think it can’t overcome the obstacle, and eventually it gives up trying. Adult elephants are easily strong enough to pull the stake out and to roam free, but they are trained to think they can’t, so they don’t. The adult elephant believes a lie about itself. The women pondered the lies they believe about themselves. One shared that she believes she is a bad daughter. Her parents divorced when she was young, and like so many kids who experience the loss of a parent, she blamed herself for her dad’s choice to have a relationship with his girlfriend’s children instead of with her. Another described being indulged as a child. Her mother invariably protected her from the consequences of her own actions. As an adult, she had an attorney who extricated her from legal tangles. Her lie was that rules don’t apply to her. Somebody else described a home where keeping up appearances was all that mattered. She believed she had to project an enhanced image of herself because the truth could never be good enough. It was heartbreaking to hear one woman describe a widespread family pattern of sexual abuse, a pattern that she and another young family member together managed to break, but not before being imprinted with the lie that being used sexually was all she was good for. After calling out these lies, the women wrote affirming statements that tell the truth about themselves. I am a good daughter. My dad’s addiction kept him from being a good dad. I have to follow the same rules as everyone else. My truth is better than my image. I am a worth saving. I love myself. For many women, the affirmations felt good and true. Other women were so accustomed to the lies, they struggled to find affirming statements that felt authentic. One woman was moved to tears when pulling away from a painful stake in her past left her feeling suddenly free to be. The class ended with encouragement to speak the truth to oneself—and to others—70 times a day for seven days. It is the surest way to find hope for healing from shame. Join the conversation. How has your “training” held you back from reaping your true potential?